Both sides came out with plenty of focus in the initial stages of the first quarter. Kalifa McCollin netted the first for Dragons and then it appeared that the visitors had turned over possession from Sirens’ first centre pass, only to cede the ball immediately again. 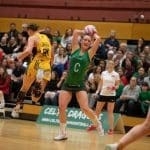 It was, nevertheless, an early sign of intent from Dragons GK Stacian Facey who enjoyed possibly her finest outing of the 2019 campaign so far. 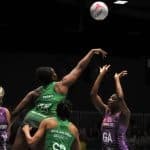 There were no shortages of opportunities for Dragons as the quarter went on, with Dee Bolakoro making use of her long reach to win a tip which led to a Dragons score. 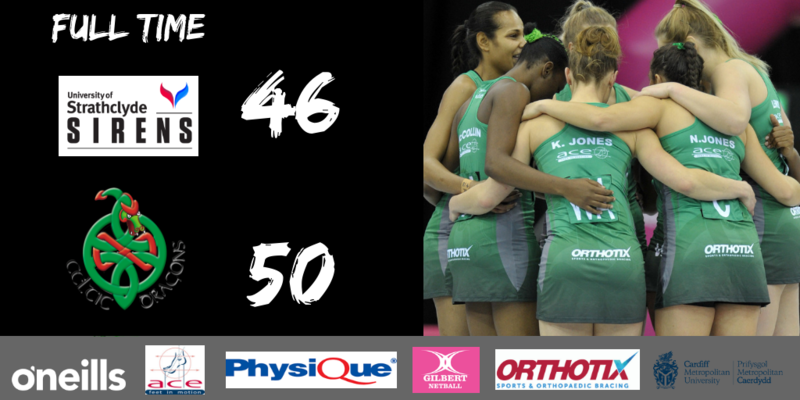 Some errors did creep in to the Dragons centre pass and it this allowed Sirens to grab an early advantage at the break. Going into the last quarter there were no visible signs of nerves as the squad remained composed under Nia’s leadership. Returning to court, movement was patient, considered and Chelsea took good advantage of the opportunities she was afforded. That first clinical five minutes essentially won Dragons the game as Sirens and their vocal crowd came back fighting to try and steal a famous win. There were some unnecessary long balls thrown from the Dragons but Sirens were likewise guilty – a telegraphed passed found its way to Dee on the thirteenth minute and from there the away bench were able to breath a sign of relief. Saracens Mavericks: GS C Tuivati, GA L Gallagher, WA N McCleary, C C Maxwell, WD G Abernethy, GD E Nicholl and GK E Gibbons. Replacements: K Boyle, R Edgar, B Goodwin, N McCall and H Mulheron.